Want to redesign our existing website to provide a better user experience and increase conversions. We understand and love Thrive but we are still learning how the builder works which is why we are looking for a Thrive Themes expert. Our website has mostly mobile traffic. We have a fair amount of content and therefore require a well built menu / nav. The site requires some conversion focused sales pages in addition to the standard article pages (which are static). We have some general ideas of how the UX can be improved and sites that we like. Can easily express our ideas using photoshop and return these quickly to keep the project moving. We would like to do the work via screenshare so that we can learn more about how Thrive Themes works. I am from a small team, WPvivid. I want to share with you a WordPress plugin. It is called WPvivid Backup/Restore, a backup plugin with a simple interface and configuration and stable backup&restore functionalities. When we talk about a backup plugin, one of the things we tend to ignore is the restoration process. We find out that most freemium backup plugins, except for Updraftplus, lock the restore feature which is included in premium version. The free version of WPvivid Backup/Restore covers both backup and restore features. It also supports to create both manual and scheduled backups, store them into remote storage and restore backups with a single click. We would love to hear your feedback on WPvivid Backup/Restore. We want to keep refining it and make it one of the best backup plugins in WordPress community. And Alas the bubble is busted when they observe that hackers have attacked their site because let's face it- they would never discriminate between any choice they are getting. They want a website to attack, and they have it. For opensource CMS like Drupal, WordPress, and Joomla, the scenario is the same. As popular as these platforms are, they are the targets of all sorts of attacks. Cybercriminals discover the security loopholes and hack your website in no time. Which leaves us with the assumption that these platforms ( which together conquer 68.5% of the CMS market) must be providing some form of protection. And yes, the assumptions are true. The project was designed to help small and medium-sized enterprises (SMEs) identify and correct the security loopholes that they witness on their websites. It focused on concrete recommendations of action in the event of damage and also taking care of sensitizing SMEs to cybersecurity. The utilization of the vulnerability scanner in the project helped SMEs to regularly check the server system and made them acquaint well with the vulnerability that might occur in a web application. Not only this but a service for web hosts were also presented which actively communicated with acute security vulnerabilities and offered filtering capabilities to prevent cyber attacks. The aim of SIWECOS in longer run was to increase web security and raise a proper awareness of the relevance of IT security for SMEs. Thus, Initiative-S came out as a ray of hope for the support of the small and medium-sized enterprise. It was a government-funded project which was built by the initiative, the association of the German internet industry echo. The association built a web interface called “clamavi”. This was done for the users to grant them with the ability to enter their domain and conduct a malware scan of the source code once per day. Thus the website check of Initiative-S was integrated into the new project of SIWECOS. The proven Initiative-S technology now supplements the portfolio of the new SIWECOS service with a check for possible malware infestation. Importance of security in cooperation and provided the end users with individual notifications and recommendation on security issue of a website. Increase in web security for a longer period and to identify and address security vulnerabilities of their website. The project helped ordinary users patch more quickly. Patching is the application of updates (patches) to existing code that either increase the functionality or correct patch vulnerabilities. It also scanned registered user websites. If any security vulnerabilities were found then the person in the field of IT security was contacted directly. What does SIWECOS have in General? It is the detailed version of the introduction and the process on how to subscribe it. They reached out to the end users that not only included the site owners but also the ones that have to maintain it later. The major purpose of the awareness campaign was to influence the behavior of the users since improvements cannot take place without changes in their attitudes and perceptions. The whole scanning system in Skinning Service is based on an API which is an open source that is embedded inside. It gave the end users with score count between zero and hundred to give them an idea on how secure or insecure the setup is. Ensures that your server conveys the browser to enable security features. Verifies if the site exposes security-relevant information. This scanner checks the website for viruses or looks for third-party content such as phishing. This scanner verifies that the website is protected against DOMXSS attacks. The companies that power the service behind the website are likely to be called as web hosts. Web hosts team generally should have all the basic technical knowledge, security awareness and should have an active communication of filter rules to defend against attacks. The need for Filter rules - to limit the circle of recipients. Firewall rules made it easy for experienced attackers to build and exploit the website as they want. Thus, by filtering incoming and outgoing network traffic (based on the set of user-defined rules) there was a reduction in unwanted network communication. Another reason to use web host was server-side protection. The server- side was protected against all these attacks on the web pages that were installed in the web hoster. This was done to protect web page operators. Eco or electronic commerce is the largest association of the internet industry in Europe. The association sees itself as the representation of the interests of the internet economy and has set itself with the goal of promoting technologies, shaping framework conditions and representing the interests of its members. The Eco group includes all the internet industry and promotes current and future internet topics. The awareness building section was mainly done by eco association because of the fact that they were really good at marketing and networking. The Ruhr-University Bochum, located on the southern hills of central Ruhr area Bochum, is one of the partners in the whole project. It has one of the greatest and most proven track records in the general IT security industry. They were included in the project with the agenda of building a scanning engine that gave the business owners feedback about potential security problems on their site such as SSL misconfiguration or vulnerability to cross-site scripting attacks. Hackmanit GmbH was founded by IT security experts that were from Ruhr University Bochum. They have an international publication of XML security, SSL/TLS, single sign-on, cross-site scripting, and UI redressing. The priorities of the company were designed by high-quality penetration testing, hands-on training, and tailor-made expertise. The organization has in-depth knowledge about the security of web application, web services, and applied cryptography. The team offers a white box and black box tests which protects the application from the effects of all sorts of hackers attack. The CMS garden is the umbrella organization of the most relevant and active open source content management system. In other words, the security team started with CMS planning in 2013 by making a shoutout to the CMS community to join the team. Surprisingly, there were CMS platforms which were interested. Thus, by 2013, there were 12 open source CMS systems in one place. CMS garden also contributes to a series of plugins for different open source CMSes that provides feedbacks from within the CMS management interface so that the site owners have the ability to act immediately when they encounter with any security vulnerability. Website attacks and cyber attacks are rapidly growing. These attacks cost the organizations millions of dollars, subject them to the lawsuit and ruin their lives. SIWECOS is like a shield for all the websites and the CMS platforms, it protects them against cyber attacks and hackers of all sort, helping in keeping up with the security and protection against vulnerabilities. We know how important web security is to protect your online identity and personal information. If you’re concerned about your web security for your business, or other network issues, our services can help. Contact us on [email protected] the professionals would guide you with all your queries and questions and help you leverage security for your website. For the first keynote, Drupal community leaders such as Nick Veenhof and Imre Gmelig Meijling will discuss about successful models to create sustainable open source communities and how we can improve collaboration in the future to ensure even more success for the open web. This keynote panel talk will be moderated by Rachel Lawson. In sessions, we will share the latest and greatest in Drupal web development as well learn from real world implementation case studies. Workshops will enable you to grow your web development skills in a hands-on setting. Sprints will teach you how contributing to Drupal can teach you a lot while improving the system for everyone. As a highlight, the Swiss Splash Awards will determine the best Swiss Drupal web projects selected by an independent jury in 9 different categories. These projects will also participate in the global Splash Awards at DrupalCon Europe 2019. Drupal Mountain Camp takes place at Davos Congress. As tested by various other prominent conferences and by ourselves in 2017, this venue ensures providing a great space for meeting each other. We are glad to be able to offer conference attendees high quality equipment and flawless internet access all in an inspiring setting. Davos is located high up in the Swiss alps, reachable from Zurich airport within a beautiful 2 hours train ride up the mountains. The Drupal Mountain Camp is all about creating a unique experience, so prepare for some social fun activities. We’ll make sure you can test the slopes by ski and snowboard or join us for the evening activities available to any skill level such as sledding or ice skating. Drupal Mountain Camp is committed to be a non-profit event with early bird tickets available for just CHF 80,- covering the 3 day conference including food for attendees. This wouldn't be possible without the generous support of our sponsors. Packages are still available, the following are already confirmed: Gold Sponsors: MD Systems, platform.sh, Amazee Labs. Silver: soul.media, Gridonic, Hostpoint AG, Wondrous, Happy Coding, Previon+. Hosting partner: amazee.io. Visit https://drupalmountaincamp.ch or check our promotion slides to find out more about the conference, secure your ticket and join us to create a unique Drupal Mountain Camp 2019 - Open Source on top of the World in Davos, Switzerland March 7-10th, 2019. Drupal Mountain Camp is brought to you by Drupal Events, the Swiss Drupal Association formed striving to promote and cultivate the Drupal in Switzerland. I am looking for a skilled word press website designer who can update my existing word press website. The website is slow and I want to change and add some more content to the website. The website promotes my law practice. I need someone to build me either a Shopify or Wordpress website to sell digital services. I will be selling guest posts on publications. I will also sell other services like IG growth plans. I will handle all of the content, I just need the layout of the website set up. If this is a job you can do, please let me know how much it will cost and how long it will take. Show me sample sites that you have built. We need to do weekly reports and have added this to the back end of our web site which uses wordpress. These need to be sent off for approval first and be able to be edited. We already have the basic needs of the report, but the photos need to be much much better and the set out of the photos needs to be better. 1. COPY ALL FIELDS FROM THE CURRENT SETUP OF WEEKLY PROGRESS REPORT AND SPECIFY WHAT ARE THE REQUIRED FIELDS. 5. FORMS CAN BE SAVED AND THEN USER CAN JUST COME BACK ANY TIME TO CONTINULE FILLING UP THE FORM. THE USER SHOULD WILL HAVE AN OPTION WHERE HE/SHE CAN EASILY CONTINUE HIS/HER WORK ON THE FORM. 7. OUTPUT OF THE FORM WILL BE A PDF. TEXT AND IMAGES SHOULD BE LAID OUT PROPERLY/NEATLY. IMAGES SHOULD NOT BE BLURRY BUT IT WILL HAVE A GOOD RESOLUTION ON THE PDF. 8. THE USERS THEN CAN HAVE THE ABILITY TO LOGIN INTO DIFFERENT REPORTS DEPENDING ON WHAT PROJECT NAME IS SELECTED. Ability to highlight breaking news or exclusive content. Our client was already storing video files in an S3 bucket, and it was decided that for the Drupal site we would also store image files there. The client handled bulk uploading of images to an "image" folder within the bucket, using the same (relative) paths as those stored for the images in the legacy database. Thus, for migration we did not need to physically copy files around (the bane of many a media migration!) - we "merely" needed to create the appropriate entities in Drupal pointing at the S3 location of the files. The following examples are modified from the committed code - to obfuscate the client/project, and to simplify so we focus on the subject at hand. So, the process plugin in the image migration above uses the trait to construct the URI, and verifies that the file is actually in S3 - if not, we skip it. See the Challenges and Contributions section below for more on the s3fs_file table. 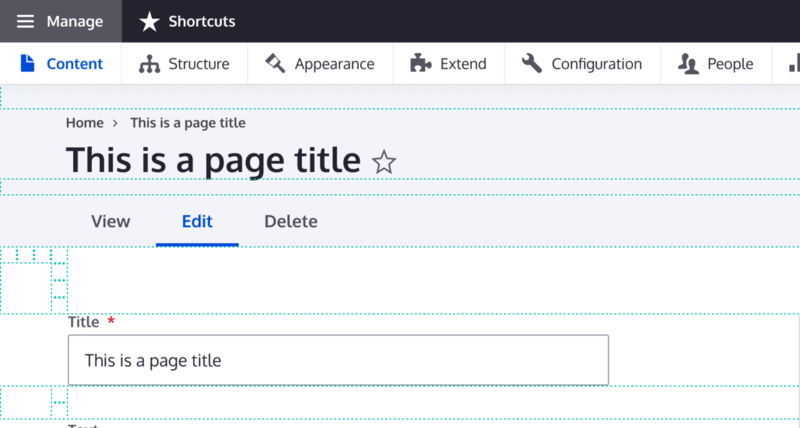 The above creates the file entities - next, we need to create the media entities that reference the files above via entity reference fields (and add other fields). These media entities are then referenced from content entities. The gallery images have their own metadata table - but, there are many other images which are simply stored as paths in content tables (in some cases, there are multiple such path fields in a single table). One might be tempted to deal with these in process plugins in the content migrations - creating the file and media entities on the fly - but that would be, well, ugly. Instead we implemented a drush command, run before our migration tasks, to canonicalize and gather those paths into a single table, which then feeds the acme_image_consolidated and acme_image_media_consolidated migrations (which end up being simpler versions of acme_image and acme_image_media, since "path" is the only available source field). The legacy database contained a media table referencing videos tagged with three different types - internal, external, and embedded. "Internal" videos were those stored in S3 with a relative path in the internal_url column; "external" videos (most on client-specific domains, but with some Youtube domains as well) had a full URL in the external_url column; and "embedded" videos were with a very few exceptions Youtube videos with the Youtube ID in the embedded_id column. It was decided that we would migrate the internal and Youtube videos, ignoring the rest of the external/embedded videos. Here we focus on the internal (S3-based) videos. A useful thing to know (particularly with the client incrementally populating the S3 bucket with image files) is what files are referenced in the legacy tables but not actually in the bucket. Below is a drush command we threw together to answer that question - it will query each legacy image or video path field we're using, construct the s3:// version of the path, and look it up in the s3fs_file table to see if it exists in S3. The s3fs module's primary use case is where the configured S3 bucket is used only by the Drupal site, and populated directly by file uploads through Drupal - our project was an outlier in terms of having all files in the S3 bucket first, and in sheer volume. A critical piece of the implementation is the s3fs_file table, which caches metadata for all files in the bucket so Drupal rarely needs to access the bucket itself other than on file upload (since file URIs are converted to direct S3 URLs when rendering, web clients go directly to S3 to fetch files, not through Drupal). In our case, the client had an existing S3 bucket which contained all the video files (and more) used by their legacy site, and to which they bulk uploaded image files directly so we did not need to do this during migration. The module does have an s3fs-refresh-cache command to populate the s3fs_file table from the current bucket contents, but we did have to deal with some issues around the cache table. As soon as we started trying to use drush s3fs-refresh-cache, we ran into the existing issue Getting Exception 'PDOException'SQLSTATE When Running drush s3fs-refresh-cache - URIs in the bucket longer than the 255-character length of s3fs_file's uri column. The exception aborted the refresh entirely, and because the refresh operation generates a temporary version of the table from scratch, then swaps it for the "live" table, the exception prevented any file metadata from being refreshed if there was one overflowing URI. I submitted a patch implementing the simplest workaround - just generating a message and ignoring overly-long URIs. Discussion continues around an alternate approach, but we used my patch in our project. So, once we got the cache refresh to work, we found serious performance problems. We had stumbled on an existing issue, "s3fs_file" table has no primary key. I tracked down the cause - because the uri column is 255 characters long, with InnoDB it cannot be indexed when using a multibyte collation such as utf8_general_ci. And Drupal core has a bug, DatabaseSchema_mysql::createTableSql() can't set table collation, preventing the setting of the utf8_bin collation directly in the table schema. The s3fs module works around that bug when creating the s3fs_file table at install time by altering the collation after table creation - but the cache refresh created a new cache table using only the schema definition and did not pick up the altered collation. Thus, only people like us who used cache refresh would lose the index, and those with more modest bucket sizes might never even notice. My patch to apply the collation (later refined by jansete) was committed to the s3fs module. As the client loaded more and more images into the bucket, drush s3fs-refresh-cache started running out of memory. Our bucket was quite large (1.7 million files at last count), and the refresh function gathered all file metadata in memory before writing it to the database. I submitted a patch to chunk the metadata to the db within the loop, which has been committed to the module. Once there were lots of images in S3 to migrate, the image media migrations were running excruciatingly slowly. I quickly guessed and confirmed that they were accessing the files directly from S3, and then (less quickly) stepped through the debugger to find the reason - the image fields needed the image width and height, and since this data wasn't available from the source database to be directly mapped in the migration, it went out and fetched the S3 image to get the dimensions itself. This was, of course, necessary - but given that migrations were being repeatedly run for testing on various environments, there was no reason to do it repeatedly. Thus, we introduced an image dimension cache table to capture the width and height the first time we imported an image, and any subsequent imports of that image only needed to get the cached dimensions. Another problem with the size of our bucket was that it was too large to economically make and maintain a separate copy to use for development and testing. So, we needed to use the single bucket - but of course, the videos in it were being used in the live site, so it was critical not to mess with them. 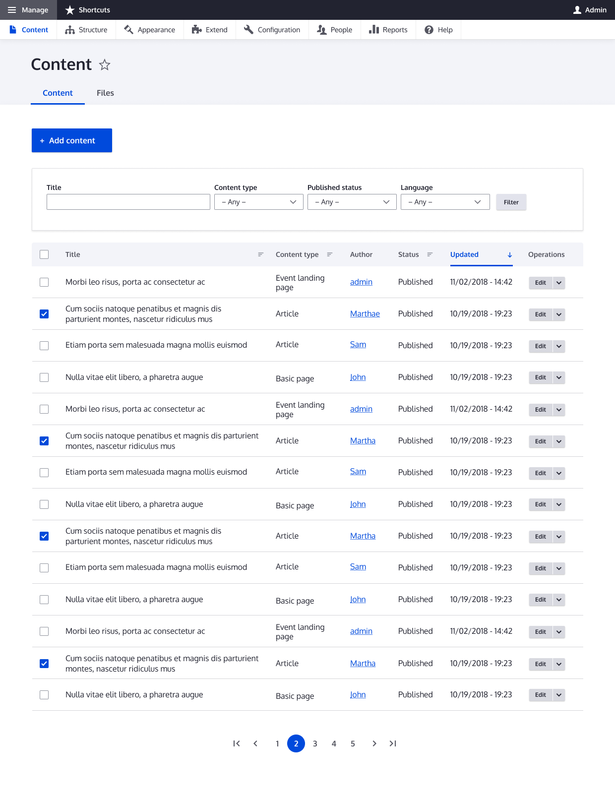 We decided to use the live bucket with credentials allowing us to read and add files to the bucket, but not delete them - this would permit us to test uploading files through the admin interface, and most importantly from a migration standpoint access the files, but not do any damage. Worst-case scenario would be the inability to clean out test files, but writing a cleanup tool after the fact to clear any extra files out would be simple enough. Between this, and the fact that images were in a separate folder in the bucket (and we weren't doing any uploads of videos, simply migrating references to them), the risk of using the live bucket was felt to be acceptable. At first, though, the client was having trouble finding credentials that worked as we needed. As a short-term workaround, I implemented a configuration option for the s3fs module to disable deletion in the stream wrapper. … for a while. The use of a single bucket became a problem once front-end developers began actively testing with image styles, and we were close enough to launch to enable deletion so image styles could be flushed when changed. The derivatives for S3 images are themselves stored in S3 - and with people generating derivatives in different environments, the s3fs_file table in any given environment (in particular the "live" environment on Pantheon, where the eventual production site was taking shape) became out of sync with the actual contents of S3. In particular, if styles were generated in the live environment then flushed in another environment, the live cache table would still contain entries for the derived styles (thus the site would generate URLs to them) even though they didn't actually exist in S3 - thus, no derived images would render. To address this, we had each environment set the s3fs root_folder option so they would each have their own sandbox - developers could then work on image styles at least with files they uploaded locally for testing, although their environments would not then see the "real" files in the bucket. We discussed more permanent alternatives and Sean Blommaert put forth some suggestions in the s3fs issue queue - ultimately (after site launch) we found there is an existing (if minimally maintained) module extending stage_file_proxy. I will most certainly work with this module on any future projects using s3fs. Install the s3fs_file_proxy_to_s3 module first thing, and make sure all environments have it enabled and configured. Make sure the credentials you use for your S3 bucket have the PutObjectAcl permission - this is non-obvious but essential if you are to publicly serve files from S3. Watch your URI lengths - if the s3://… form of the URI is > 255 characters, it won't work (Drupal's file_managed table has a 255-character limit). When using image styles, the effective limit is significantly lower due to folders added to the path. With image fields which reference images stored in S3, if you don't have width and height to set on the field at entity creation time, you'll want to implement a caching solution similar to the above. Apart from the image style issues, most of the direct development detailed above was mine, but as on any project thoughts were bounced off the team, project managers handled communication with the client, testers provided feedback, etc. Thanks to the whole team, particularly Sean Blommaert (image styles, post feedback), Kevin Thompson and Willy Karam (client communications), and Karoly Negyesi (post feedback). I am working with a school and need a plug-in to create security groups. These groups would be locked down to editing their own pages, posting to their own categories and locked out of wp plugins and settings. Does such a plug-in exist and can you recommend one? Drupal 9 is coming. Even if it feels like you only just upgraded to Drupal 8, soon it’ll be time to make the switch to the next version. Fortunately, the shift from Drupal 8 to Drupal 9 should be relatively painless for most organizations. Here’s why. Though tools were built in to make the upgrade from Drupal 6 or 7 to Drupal 8 run as smoothly as possible, it could still be a difficult or dramatic process. Drupal 8 marked a major shift for the Drupal world: it introduced major new dependencies, such as Symfony, and a host of new features in Core. The new structure of the software made it tricky to upgrade sites in the first place, which was complicated by the fact that it took a long time for a number of modules to be properly optimized and secured for the new version. Fortunately, the large number of changes made to the Drupal platform in Drupal 8 have made it relatively simple to build, expand, and upgrade for the future. The new software has been designed specifically to make it simple to transition between Drupal 8 and Drupal 9, so that making the migration requires little more work than upgrading between minor version of Drupal 8. As more information is released about the new features and updates in Drupal 9, organizations should consider their digital roadmaps and how the new platform will affect them. And regardless of what your plans are feature-wise, your organization should begin planning to upgrade to Drupal 9 no later than summer of 2021. The reason for that is because the projected end-of-life for the Drupal 8 software is November of 2021, when Symfony 3 (Drupal 8’s largest major dependency) will no longer be supported by its own community. In the meantime, the best thing your organization can do to prepare for the launch of Drupal 9 is to make sure that you keep your Drupal 8 site fully up to date. For help planning out your Drupal roadmap, and to make sure that you’ll be ready for a smooth upgrade to Drupal 9 when it releases, contact FFW. We’re here to help you plan out your long-term Drupal strategy and make sure that your team can make the most of your site today, tomorrow, and after Drupal 9 is released. I have a client looking to move from Squarespace to Wordpress. They would like their website refreshed from a design perspective and they would like their content moved (and possibly organized better) with it. I'm looking for a web developer or team that can not only create a new Wordpress website, but that can also move the content over from the previous website. If possible, I would like to use the Divi theme from Elegant Themes as I'm familiar with it and can manage the pages easily. That said, I'm open to other themes as long as they are easy to manage. The website in question is www.eiffelhealth.com. Please take a look at that website and provide feedback and a cost/proposal. Everyone loves attractive layouts for web pages. Luckily, Drupal has plenty of awesome page building tools. You will hear such tool names as Panels, Panelizer, Paragraphs, Display Suite, Page Manager, Twig, and more.